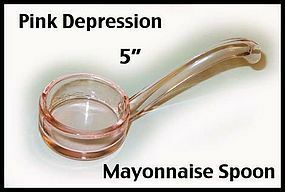 This pink 1930s mayonnaise spoon is in excellent condition. Beautiful color of pink! We have 2 identical mayo spoons available for $18.00 each. This 1940's "Calico Tulip" pie/cake lifter was made by the Harker China Co., and is in excellent condition. Depression era crystal glass fruit/cake cutter knife. 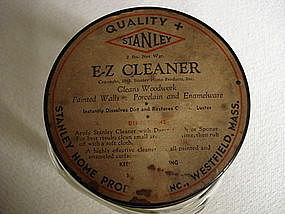 Used for sanitary preparation before stainless steel was available. The thumbguard style has always been elusive, and this one is in excellent condition! 1940's pink glass etched souvenir knife from Treasure Island. Elusive style & color of glass knife. These glass knives were used as sanitary fruit utensils before stainless steel was available. The etching is shown on the photo. Typical rough and nicked cutting edge, could be ground smooth if desired.